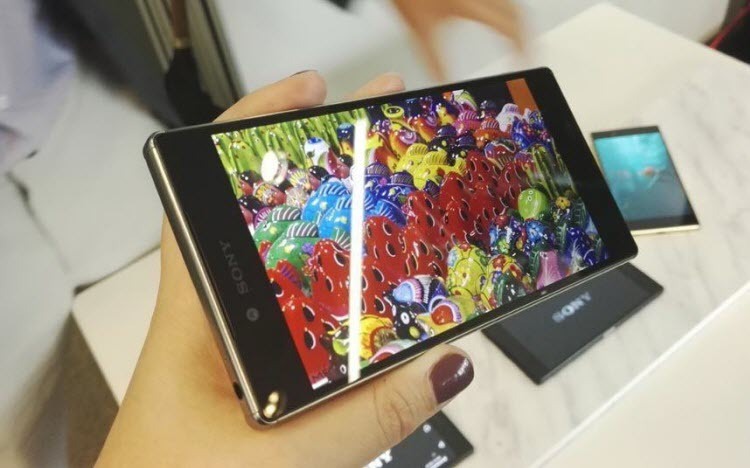 Sony has recently launched two phones, the Sony Xperia Z5 and Xperia Z5 compact. But Sony just didn’t stop there. 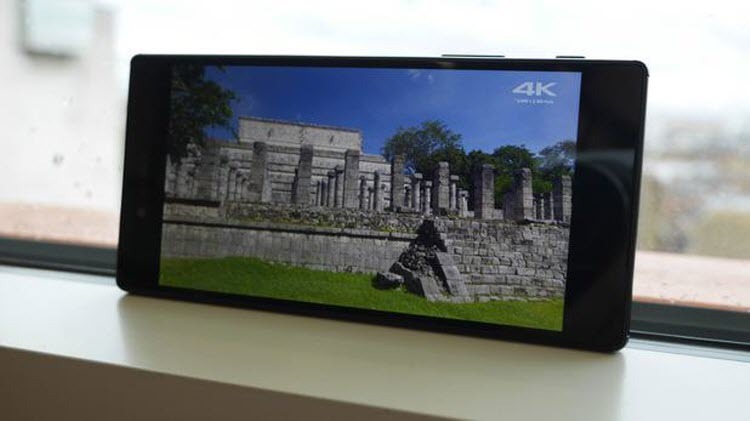 Coming up with the 4k display for the first time in world, Sony added a premium phone to the Sony Z5 family, gaining attentions in the market. For the first time it looks like Sony is announcing three phones at a time. From big to small we have Sony Xperia Z5 premium, Xperia Z5 and Xperia Z5 compact. Lately, Sony has had a tough time in the mobile division but now it looks like a understatement. Sony Xperia Z5 premium is likely to come this year end. Sony Xperia Z5 premium is the most interesting phone in the trio. The phone is quite similar to the Xperia Z5 with an octa-core Snapdragon 810 chipset under the hood, 3GB of RAM, 32GB of storage and microSD support up to 200GB and carries 5.5-inch 4K display (3840 x 2560) which distinguish Z5 premium from the family. Size and display is the pretty much that makes the phone different from others. The pixel density of the upcoming phone Z5 premium is equalling a staggering 806 pixels-per-inch which is 10x the pixels of full HD TV. Down with the bigger battery of 3430mAh doesn’t looks enough as till will has to power a 4K display but the Sony saying that “you only need to charge this one once a day” claims up to 2 days battery life. The premium phone is available in three vibrant colours, Chrome, Gold and Black and comes with a shiny mirror effect on the back which gives the phone an attractive and different look. Here’s the detail which will count, as Sony states having a award-winning lens, the best mobile sensor for low light and image processing makes your mobile a double as real camera. Loaded with 23MP rear camera and 2.3MP front camera sounds like holding a DSLR in your hand when we realise that the captured photo will be displayed on a 4K resolution display. The camera is supported with the Sony ultra-fast autofocus which focuses the subject on your screen in just 0.03 seconds. 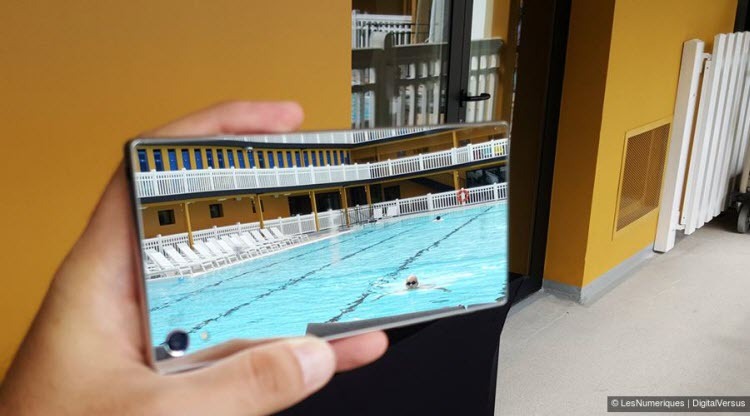 Tapping anywhere on the screen takes the photo in a blink so no missing the action and the fumbling caused in focusing and taking the photos is now a past. Capture everything you see in a highly brilliant resolution 4K video. A video in 3,840 x 2,160 quality will more be a live visual to the user then just a video. Camcorder even have a SteadyShot function which helps and compensate your movements and let you take a video with more stability. A Hardware to Hold On! Coming to the design of Xperia Z5 presents a svelte continuous plate form, with a metal frame and frosted glass back. Its striking, comfortable to hold and waterproof and dustproof for every day convenience. It is designed from the ground as a high-performance mobile device. Tilting the device 90%, side bezel gives a good grip to the device and the other key feature of the phone is present on the bezel, “finger print sensor power button” on the right edge of the phone followed to the volume keys downside. A camera button is also given for the easy access to the camera, just below the volume keys, to have a tickling feel while taking the photos. On the software side, the Z5 family runs Android 5.1.1, and Sony says “stay tuned” about an Android M update. The company’s Android skin is no more. Instead, the devices all run a virtually stock Android experience. Sure, there are some differences in iconography, but the general look-and-feel isn’t too far from a Nexus device. That’s a huge step forward from current Xperias, which feel like they’re stuck in the past despite many of them actually being on the latest version of Android. As far as the rumours are Sony Xperia Z5 will be out in this year end. Will you buy this phone? Tell us why or why not. Your feedback and views are awaited.